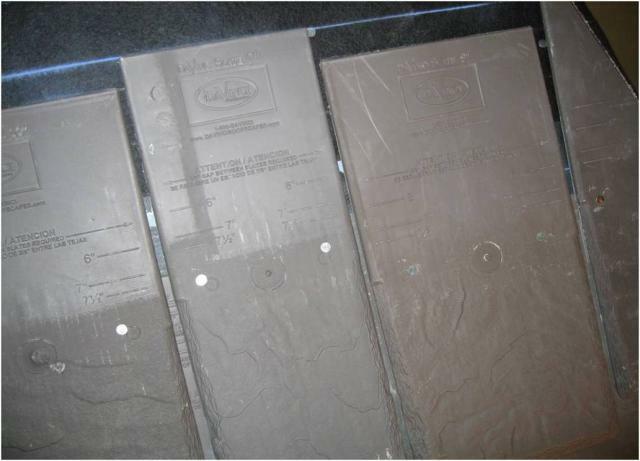 As I have talked about before in this blog, DaVinci Roofscapes composite shake and slate multi-width slates come in five different widths. What I haven’t said before is these different widths weren’t chosen randomly. As they say, “we have a method to our madness.” The widths were chosen so there is always a combination of our shake and slate lightweight tiles to fit into an area without cutting. When the installer comes to the end of a roof or fills in a space between tiles, he/she just needs to measure the distance and use the two tiles that will fit in the space. The installer may need to adjust the spacing between the tiles very slightly. In the picture below the space is measured at 16 3/4″. 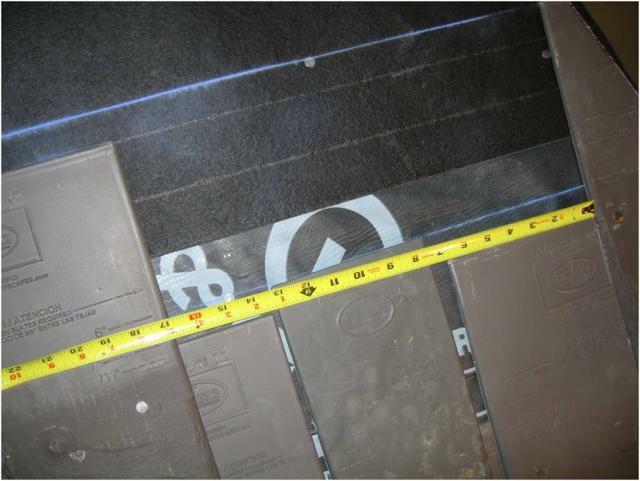 The installer just needs to pick two of the slate widths ( 6″,7″,9″, 10″, or 12″) that make 16″. In this case the installer may choose either a 9″ and 7″ fake slate or a 6″ and 10″ tile. Below we see that a 7″ and 9″ were chosen. Once you get the hang of it the combinations are easy. Just make sure you give yourself enough room to let two tiles work, not just one. If you only leave yourself 3″ inches you’re out of luck. If you have between 12″ and 22′ you can always make it work.